Sub-Saharan Africa has one of the highest burdens of surgically treatable conditions in the world and the highest unmet need, especially in rural areas. Zambia is one of the countries in the region taking steps to improve surgical care for its rural populations. To demonstrate changes in surgical capacity in Zambia’s district hospitals over a 3-year period and to provide a baseline from which future interventions in surgical care can be assessed. 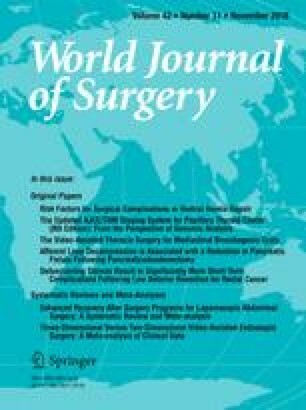 A cross-sectional assessment of surgical capacity, using a modified WHO questionnaire, was administered in first-level hospitals in nine of Zambia’s ten provinces between November 2012 and February 2013 and again between February and April 2016. The two assessments allowed measurement of changes in surgical workforce, infrastructure, equipment, drugs and consumables; and numbers of major surgical procedures performed over two 12-month periods prior to the assessments. There was a significant increase, 2013–2016, in number of theatre staff, from 174 (mean 4.4; SD 1.7) to 235 (mean 6; SD 2.9), P = 0.02. However, the percentage of hospitals with functioning anaesthetic machines dropped from 64 to 41%. There was also a drop in hospitals reporting availability of instruments, drugs and consumables from 38 to 24 (97–62%) and from 28 to 24 (72–62%), respectively. The median number of caesarean sections in 2012 was 99 [interquartile range (IQR) 42–187] and 100 (IQR 42–126) in 2015 (P value =0.53). The median number of major surgical procedures in 2012 was 54 (IQR 10–113) and 66 (IQR 18–168) in 2015 (P = 0.45). An increase in the first-level hospital surgical workforce between 2013 and 2016 was accompanied by reductions in essential equipment and consumables for surgery, and no changes in surgical output. Periodic monitoring of resource availability is needed to address shortages and make safe surgery available to rural populations.